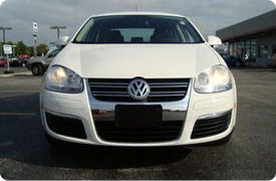 Jordan Automotive has provided quality services for auto body repair Chicago residents have benefited from since 1995. Our family owned and operated auto body collision repair facility is located in Chicago, Illinois. We serve fleet management companies, dealerships, and everyday families alike. 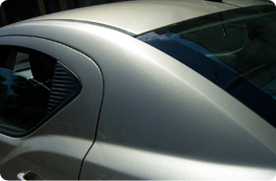 Whoever you are, we can provide you with the best professional vehicle painting and auto body repair in Chicago. At Jordan Automotive, we know how important your automobile is and how difficult it is to find help when your vehicle has been damaged. Having your car keyed or accidentally dented can definitely be an unpleasant and hassling experience, but many mishaps, such as collisions, can render your car immobile, or even worse, put your life in danger. It's a good thing Jordan Automotive offers a 24/7 towing service, rental cars, a pick-up and drop-off service, and all types of collision repair Chicago residents can always rely on! We have the quickest response times and the most reasonable rates for the kind of auto body repair Chicago families trust. 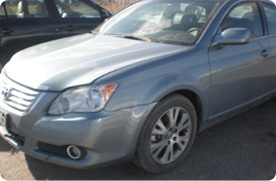 Our courteous staff will guide you through our process of collision repair Chicago motorists have confidence in. Whatever the model or make of your vehicle, trust in Jordan Automotive to render exceptional body work every time you bring your car to us. We can provide you with professional vehicle painting and restoration services even if your car is imported! If you're worried about the cost, rest assured that we provide direct repair for many major insurance companies and give computerized estimates for your convenience. In a few short steps, the body shop will be ready to bid. "...I picked up my car BETTER THAN NEW. Not only was the bumper expertly fixed, it was detailed inside and out. It was absolutely brilliant!" "I looked around at a lot of other repair shops and I have to say that I am extremely happy that I decided to bring my car to you. I was really amazed at how fast you were able to get my car running so fast!" "I highly recommend this shop to anyone looking for an affordable, and honest shop near Wicker Park/Bucktown."